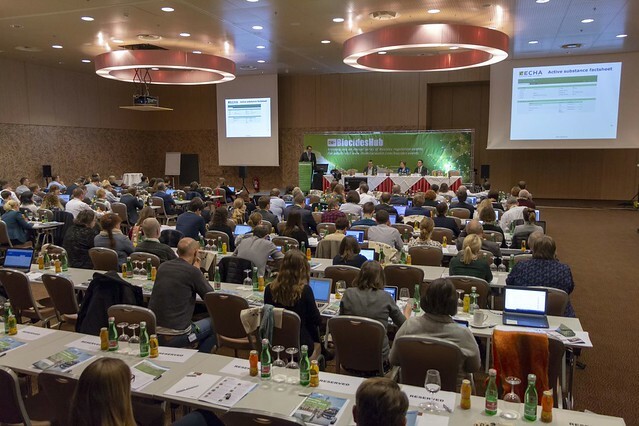 Biocides Europe 2018 offered attendees a unique opportunity to join our expert panel for a two-day event in Vienna on 27-28 November, which focused on the latest information and advice on the application of the EU Biocidal Products Regulation (BPR). Expert speakers from leading organisations including the European Commission, ECHA, Ctgb, CEHTRA and Steptoe & Johnson, shared the latest developments on the use and production of biocides, as well as providing essential guidance on how to remain compliant with the BPR. Understanding the guidance for identifying endocrine disrupting chemicals – led by Michael Werner, Senior Expert Regulatory Toxicology Biocides, and Martina Duft, Biologist, Expert Environmental Safety/Regulatory Affairs, both from Knoell Germany GmbH. Introduction and understanding of physical chemical properties of biocidal products – led by Peter Liney, Managing Scientist – Chemistry, Exponent International Ltd.
Great event ending today #BiocidesEurope2018 in Vienna with @ChemicalWatch and @BiocidesHub. Very interesting exchanges on #EndocrineDisruptors assessments and criteria, as well as other important hot topics for industry.